Tour Divide: What Worked. What Didn't. The gear you carry on Tour Divide can make or break the ride. Over the days, weeks, months, and years of bikepacking ahead of the start, you pare your packing list down, carrying the minimum necessary to keep you moving forward. Each item needs to function properly, take up minimal space, and be constructed durably enough to handle the distance and difficulty of Tour Divide. Ideally, that item is also fairly lightweight, though gram counting can be a maddening, sometimes futile game. Here's a look at some key gear that I carried. Some of it was amazing. Others were a let down. On the whole, I'm very happy with what I carried. I went with the rectangular pad as I often sleep on my stomach and I wanted more between me and the ground. The AXL Air inflates and deflates quickly, packs small, and kept me plenty warm even on chilly, wet nights. I found it super comfortable no matter the position I found myself snoozing. That's it's pretty darn light is also a nice benefit. I would take this same pad on nearly any bikepacking adventure. At $150, the Circuit is an affordable, feature-laden lid. It fits me well, offering comfortable protection, and is large enough for me to wear a cycling cap or warm hat underneath. The standout feature for me though is the magnetic light/camera mount. It uses a GoPro mount interface and works nicely with Bontrager's own lights. I purchased a K-Edge Niterider mount and bolted and zip-tied it to my Black Diamond Spot headlamp. I was able to easily take the light on and off the helmet while I rode, meaning that I gave my neck a break during the day without making the transition to night riding a long one. 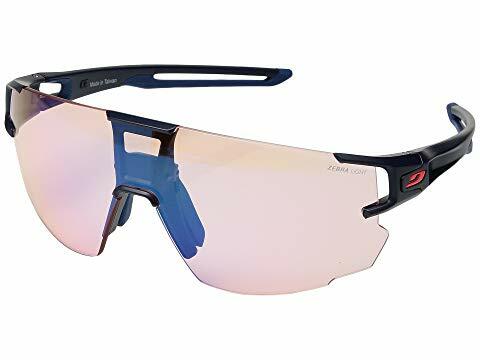 From the frameless design to the photochromic lens, I have nothing but love for Julbo's Aerospeed glasses. I wore them during the darkest of nights and the brightest of days and the lens automatically adjusted to the varying light. On my narrow head they didn't fit very tightly but that also meant that over the course of 2,700 miles that they didn't dig into my temples. I added a neoprene Croakie so that I could hang them around my neck when I went into stores and not risk losing them. Ortlieb's line of bikepacking bags are not the lightest in the world, but they are built to last and offer waterproof construction. I've used my large Seat Pack for several seasons and during Tour Divide it began to show its age. Somewhere in Colorado, as the heat began to build, it began to sag. The side stiffeners began to bow inward making packing a bit tricky. It also meant that the part of the bag behind the stiffeners could sag and sometimes hit my rear wheel over bumpy terrain. In Salida I bought a new seat bag. In fairness, Ortlieb is taking care of a replacement and I still hold the firm in high regard. While I’ve experienced finger numbness and sore hands in the past, this time round I suffered neither. 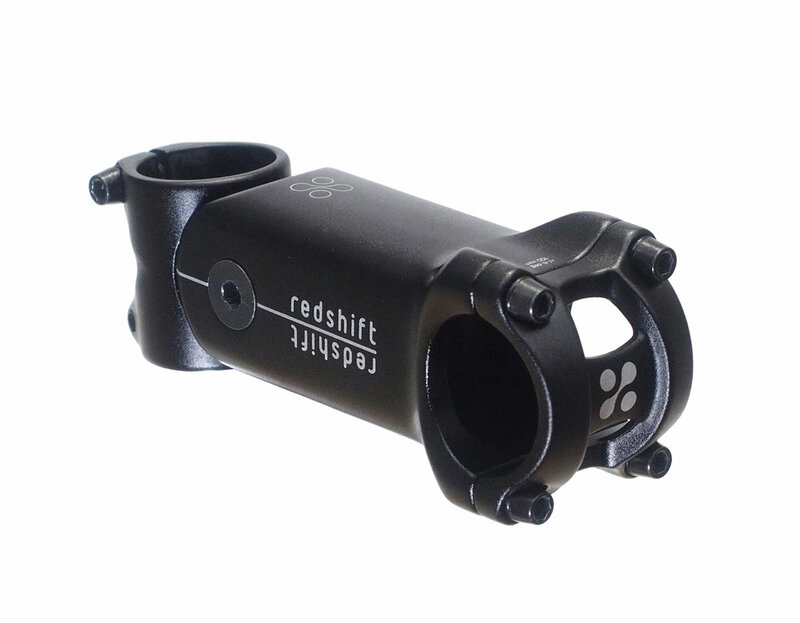 I have to give credit, partially if not entirely, to Redshift’s ShockStop stem. I’ve ridden it a lot now and typically set it up pretty firm but it delivers an affordable, lightweight measure of comfort on mixed surfaces. The company also has a suspension seatpost in the works that I’m eager to try it. I had thousands of miles aboard Di2 drivetrain before I headed to Banff and I’ve never had issues with the electronics. I know that some are hesitant to make the leap to electronic shifting. Sure, it is expensive. But I've had far fewer issues with it than I have with cable actuated shifting. 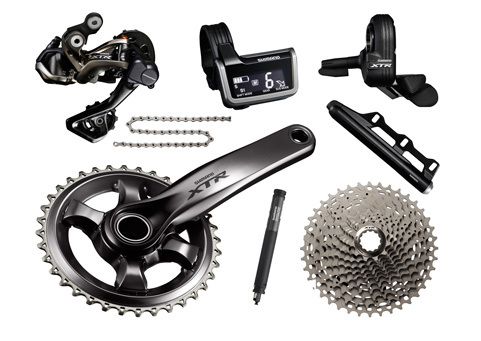 In the case of Di2, there are no cables that need replacing. It shifts consistently in all conditions and does so while also saving my wrists and fingers from the possibility of overuse injuries from the thousands of shifts one performs during Tour Divide. I ran a 2x11 setup using an older 10-speed era XTR Race crank with 42/30 chainrings. On the back I used an XTR 11-40 cassette. I set the system up using Shimano's SynchroShift. I only told the system whether I wanted a harder or an easier gear and it would then shift the front and rear derailleurs according to a pattern that I customized using E-Tube software. So I could shift in both directions, across the drivetrain's entire range, using either hand. This is especially convenient while eating, drinking, or putting on clothes. I also added a set of shifter to my aerobars so that I could stay in them and shift without moving. The shifting is so good that I'm ruined. It's hard to go back to mechanical shifting of even the highest quality. Castelli's Tempesta 3/4 Rain Pants are pretty sweet. They offer a great cut for cycling, good ventilation, and pair perfectly with Castelli's Tempesta Leg Warmers for complete wet weather protection. They also have large amounts of reflective materials, increasing visibility day and night. Where they let me down a bit was when, after repeated days of wearing them frequently, the seat of them sprung a leak. It was on a particularly chilly morning, 36-degrees Fahrenheit and raining, that I noticed that my chamois was wet. It was not a comfortable feeling as icy water made its way inside the pants. The next day, after they had dryed out, I found the culprit. I had worn a pair of holes where my derriere made contact with the saddle through the inner layer of the pants. I applied a couple patches using Tenacious Tape and that has worked since.